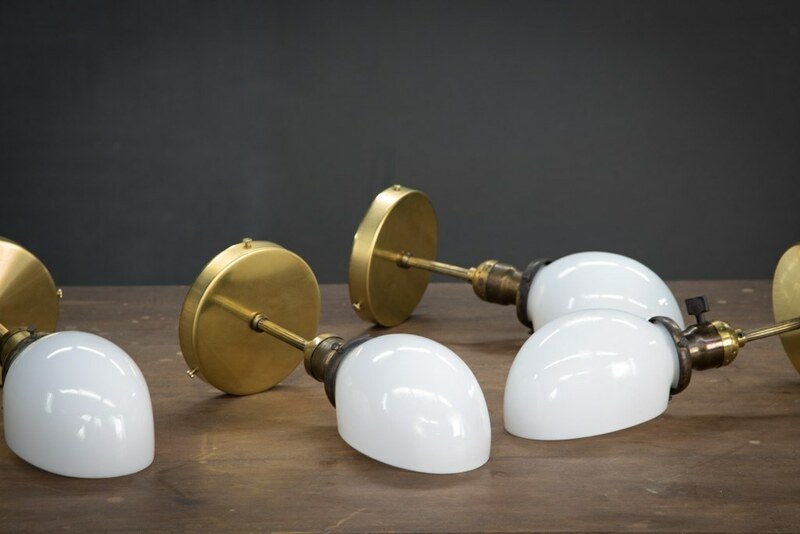 USA, 1940s, Vintage Regal Astoria Brass Wall Sconces. 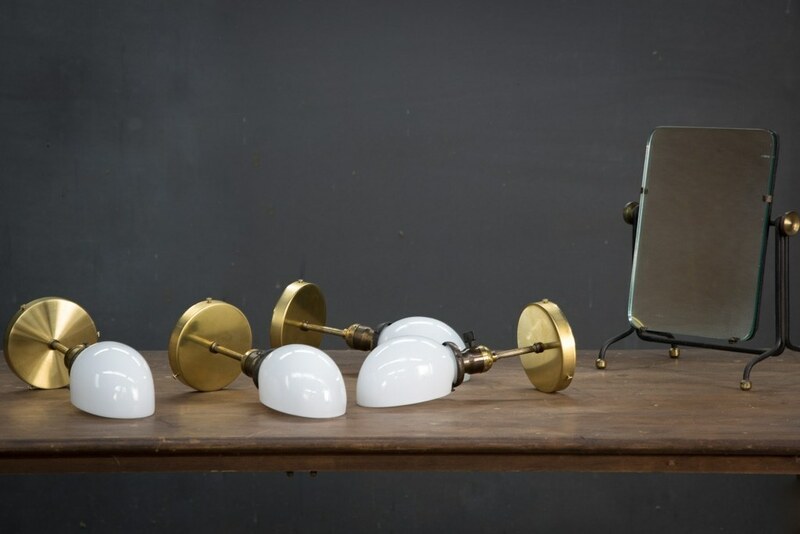 Old Glass Opaline Scoop Shades. Fluted Brass Pipe with Early Edison Turnkey Sockets. 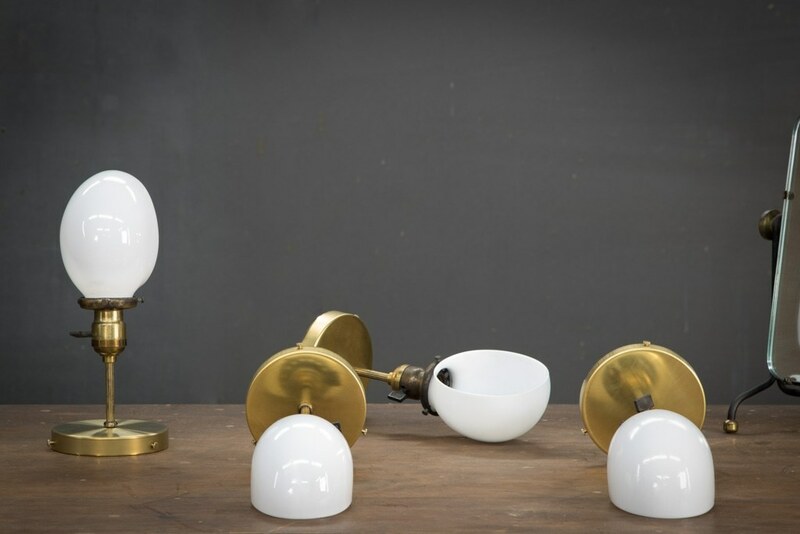 Modern Spun Brass Wall Plates. Fully Rewired. 4 Available.